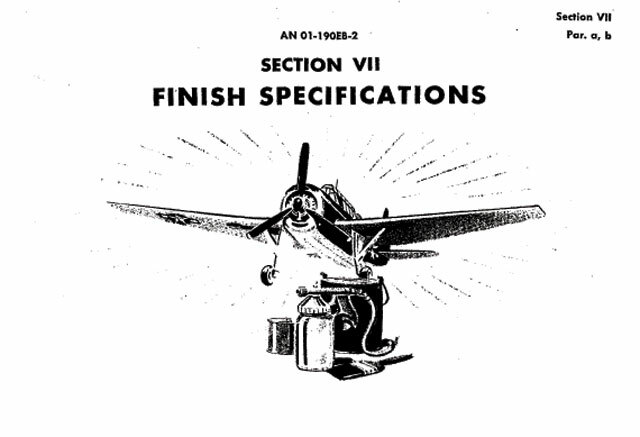 Matt Gunsch has kindly forwarded the Finishing Specification section of the TBM-3 Maintenance Manual. This will be of interest as a historical document, but will be especially helpful for anyone building the 1/32 scale Trumpeter Avenger; or the 1/48 scale Accurate Miniatures, or 1/72 scale Academy kits. The document is in PDF format, and the file size is 564 KB. To open the TBM Finishing Specification, click here.